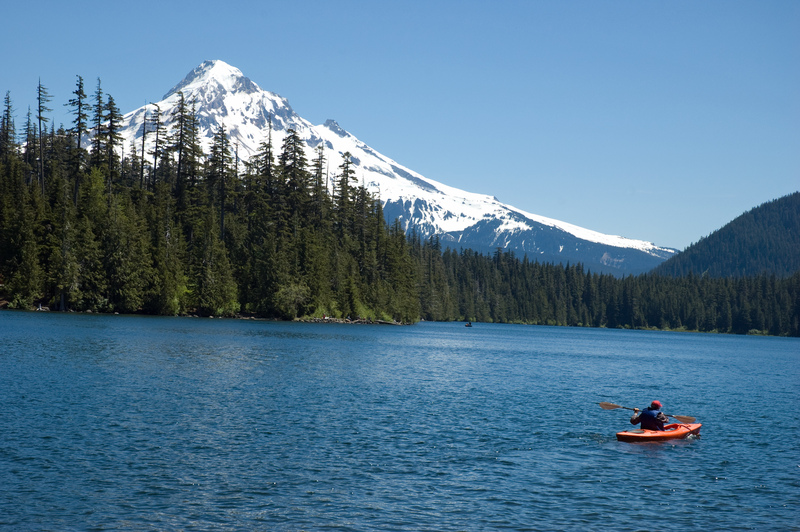 You can kayak, canoe, or boat on Mount Hood? Well, maybe not technically, but close enough. The Mount Hood National Forest is home to countless bodies of water — rivers, lakes, ponds, streams — that make for ideal waterborne adventures during prime summer seasons. This picutre above? Kayaking on Lost Lake, on the northwest side of Mount Hood in June. That’s hard to beat.